WELCOME TO ROCKING B-A-B RANCH! !Please explore our website! We hope you enjoy your visit. Rocking B-A-B Ranch is a 310-acre ranch located just outside the small town of DeFuniak Springs, Florida. Thanks for coming to see me!!! DeFuniak Springs is a small town rich with history. It lies in the center of the Florida panhandle, just off Interstate-10, approximately 30 miles north of the emerald green waters and sandy white beaches of the Gulf of Mexico. 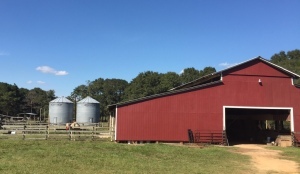 Many animals such as horses, cows, miniature donkeys, Katahdin Hair sheep, pigs, peafowl, Sulcata Tortoises, chickens, turkeys, Ring-tailed lemurs and Wallabies can be seen here at the ranch. 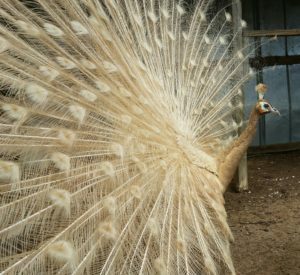 We raise and offer many of these beautiful animals for sale; however, our primary efforts are focused on breeding high quality peafowl, miniature donkeys, and Katahdin hair sheep. 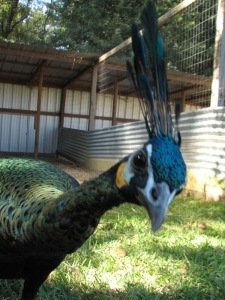 Please explore our website and see what the Rocking B-A-B Ranch is all about! Our goal in creating this site is to bring the experience of visiting Rocking B-A-B Ranch to your computer; we hope you find our site helpful and informative. If you cannot find what you are looking for or have specific questions and or concerns please contact us for more information. We are humbled and grateful to have you visit our site and we look forward to serving your needs.